To get started, open the document or presentation you'd like to remove Smart Rules from. Smart Rules can be used multiple times in a document. The number next to the gear icon, to the right of the name of a Smart Rule, indicates the total number of occurrences of a Smart Rule in the current document or presentation. When you do this, the panel expands to reveal a list of instances for that particular Smart Rule. Clicking on any one of the instances (Instance 1, Instance 2, Instance 3, etc. ), will jump you straight to the place in the document, where that instance can be found. This way you can very quickly and easily see where the Smart Rule has been used. To remove the Smart Rule from the document or presentation completely, simply delete all instances of that Smart Rule. Before you can delete a Smart Rule from your Qorus Hub completely, you'll need to first remove all instances of that Smart Rule from the current document or presentation (see above) you're working in. Once the Smart Rule no longer exists in the document, you'll find it at the bottom of the Design panel, under the header 'Available in your hub'. IMPORTANT! 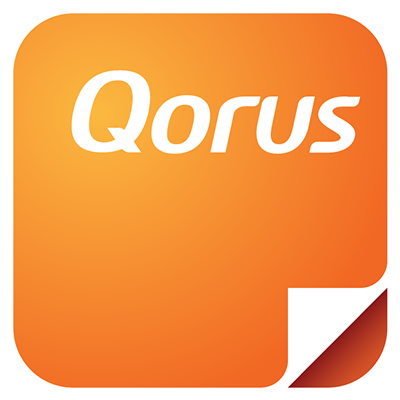 Deleting a Smart Rule from your Qorus Hub does not remove the Smart Rule from any other documents and presentations where it might have been used. If you delete a Smart Rule from your Qorus Hub, the Smart Rule will no longer work - even if that Smart Rule still exists in some documents or presentations. This means that it's a good idea to first remove as many instances of a Smart Rule as you can, from all the documents and presentations where it has been used, before deleting the Smart Rule entirely from your Qorus Hub.